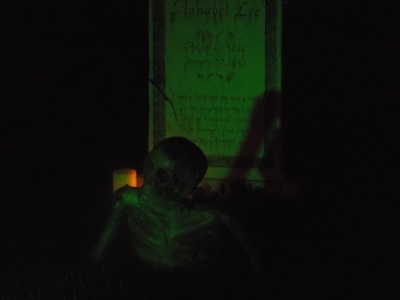 In our continuing quest to find new haunts, we often find ourselves venturing into new territories - such was the case when we visited Fallen Angel Cemetery. 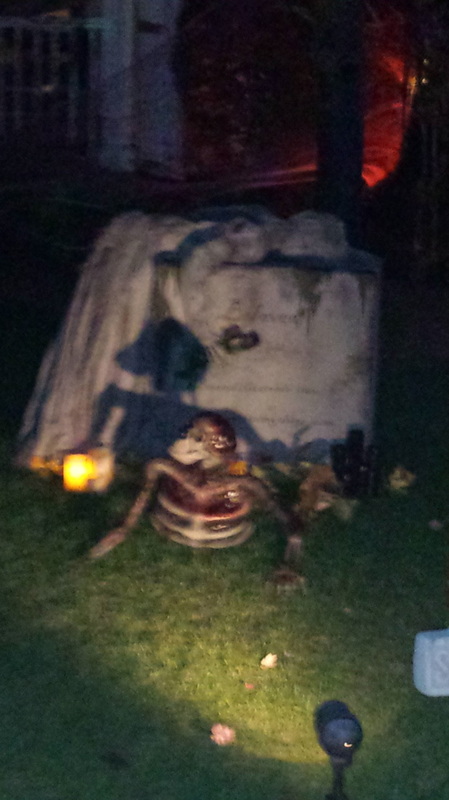 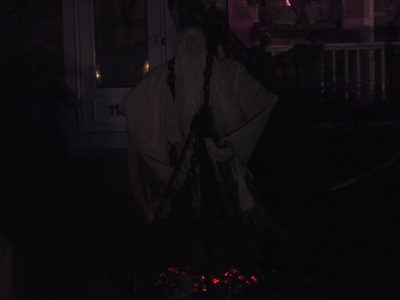 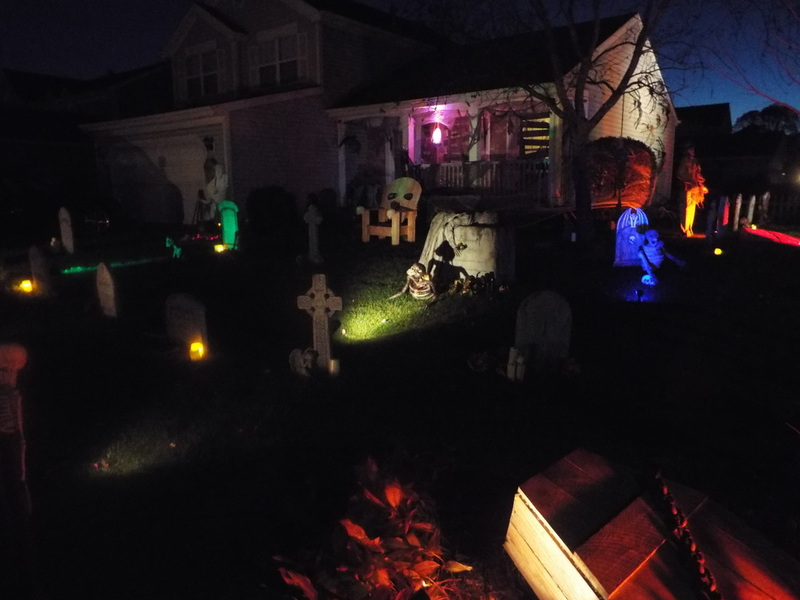 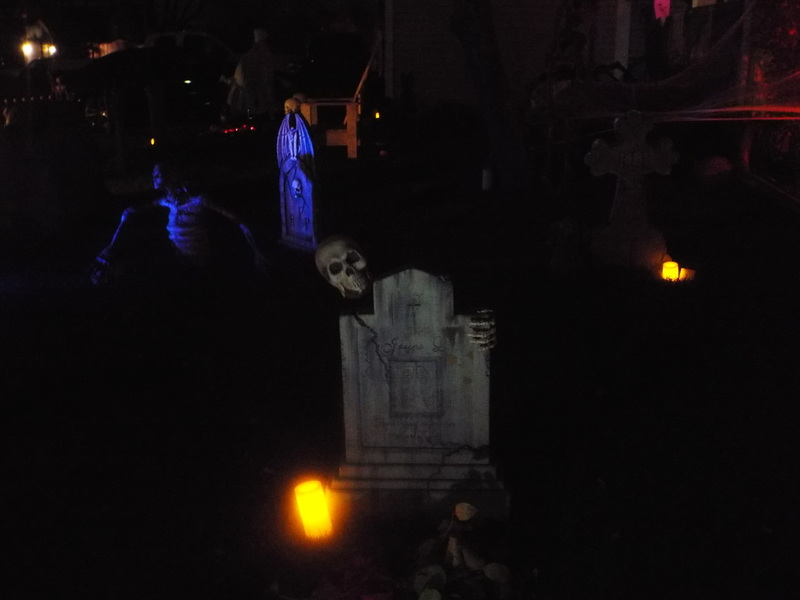 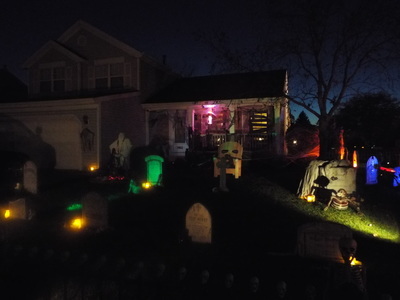 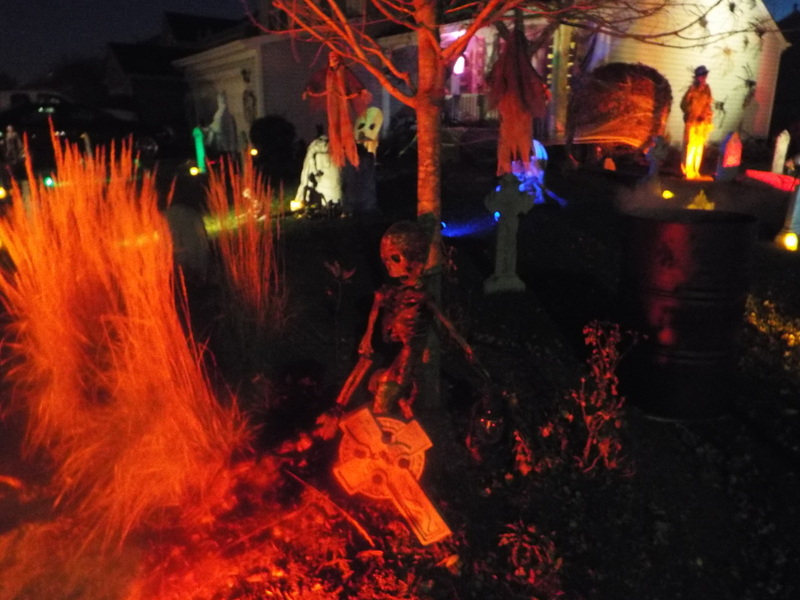 It was the first time we had been to Lake Zurich for a haunt visit, and the first one we visited happened to be Fallen Angel Cemetery, a somewhat large yard display located in front of a corner house. 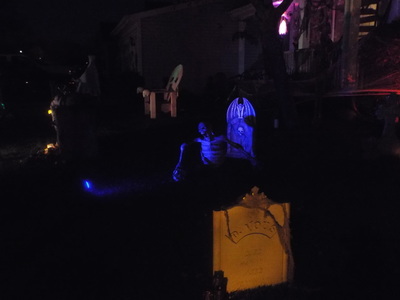 As the name implies, the display is cemetery themed. 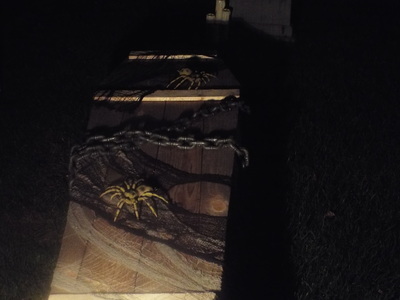 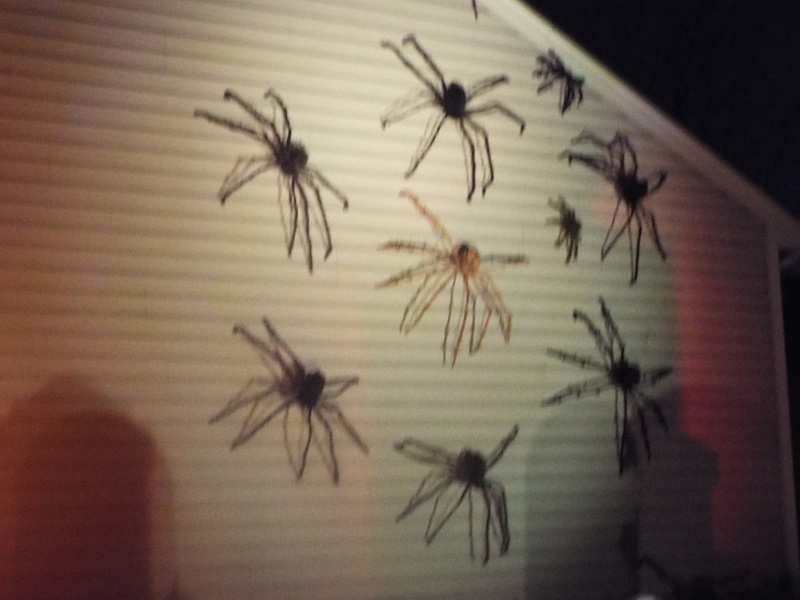 It features the typical tombstones, ghosts, and skeletons, as well as some large spiders crawling along the side of the house. 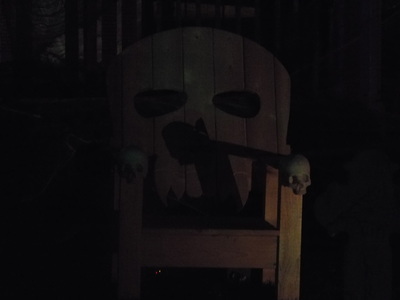 Some of the more interesting items included a tombstone with as grinning skull that would appear on one side, then hide behind the tombstone, then reappear on the other, a large moving ghost in front of glowing coals, and a large empty chair that had what looked like a grinning skull face carved into the back of it - it was kind odd to see a big, empty chair sitting in the middle of a haunt display, but it was also somewhat creepy, as the large eyes on the back of the chair seemed to be staring back at visitors. 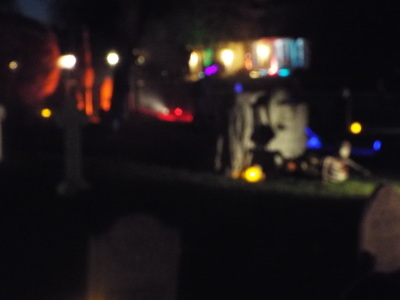 Some nice lighting and fog effects complemented the entire display, and there was enough there to keep one's interest, especially if one toured the entire setup from one side to the other. 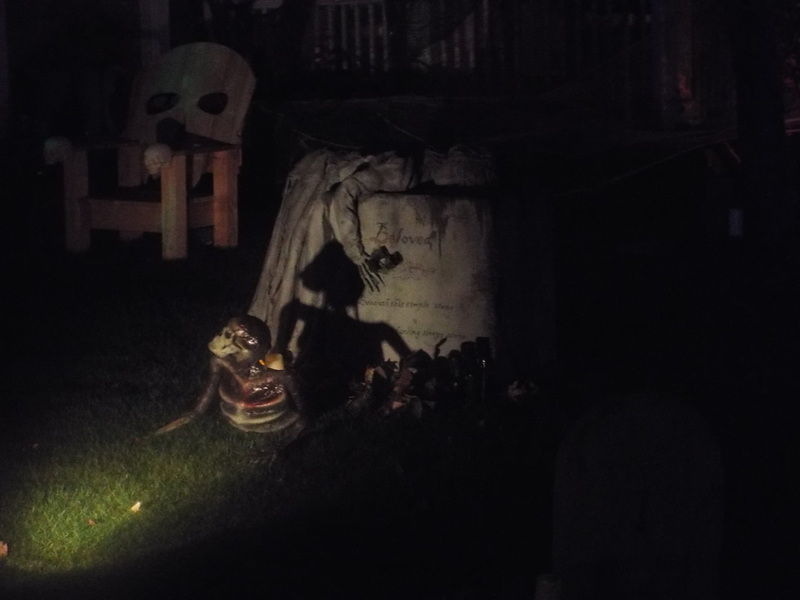 It's also a family friendly haunt display, with nothing too scary or too close to visitors to cause smaller children undue scares. 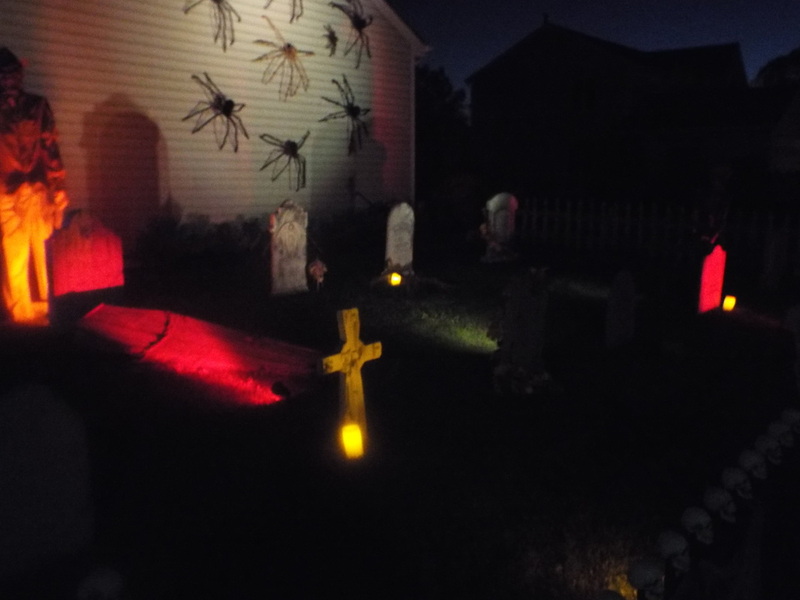 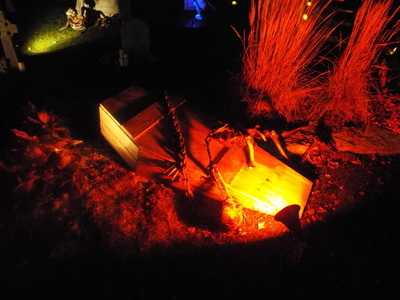 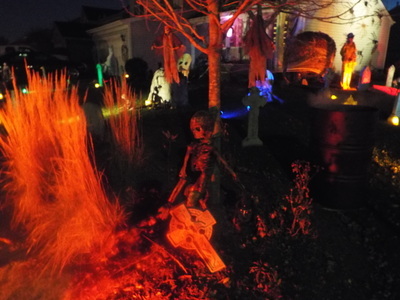 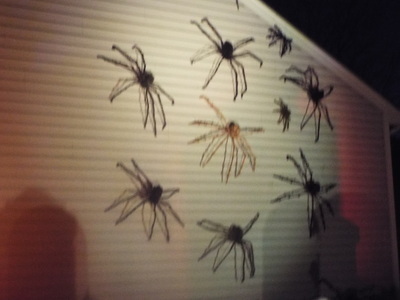 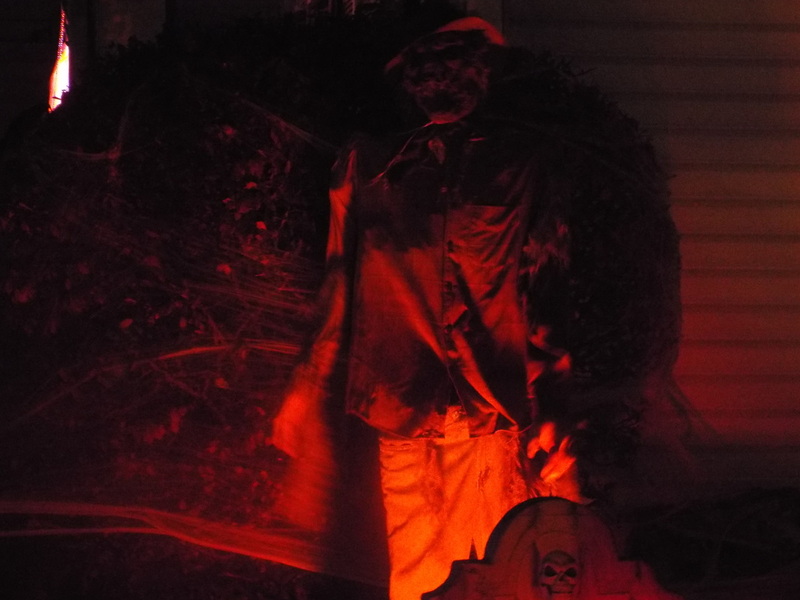 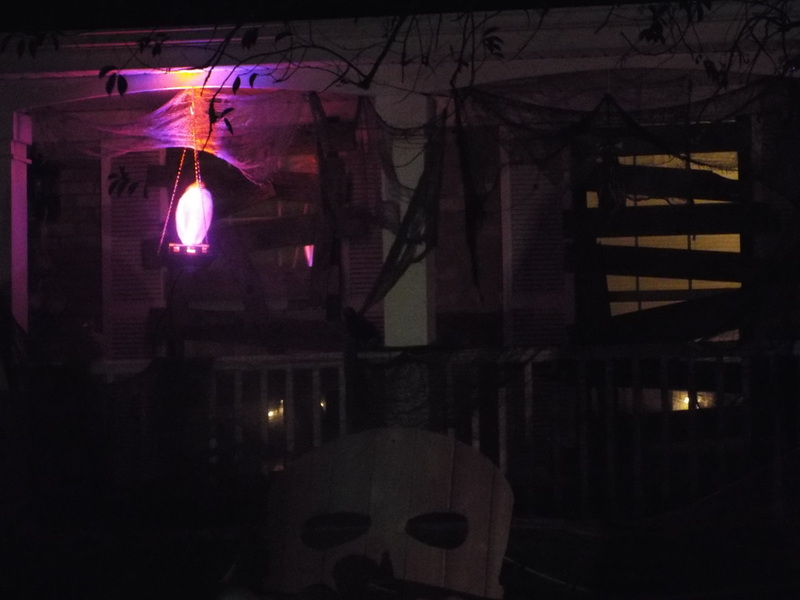 Overall, a very decent yard display that will be on our list should we visit the Lake Zurich areas on future haunt tours.